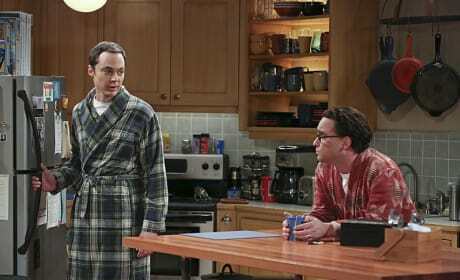 Sheldon and Leonard have a lot to talk about, having both made some major changes with their relationships. Maybe they'll both feel better with a nice hot beverage. Penny and Sheldon both look like they're upset with Leonard on The Big Bang Theory Season 9 Episode 2. In trying to fix things did he only manage to make them worse? We're ready for Penny and Leonard to be able to enjoy their time as newlyweds. By the looks of this photo, that isn't going to be happening just yet. 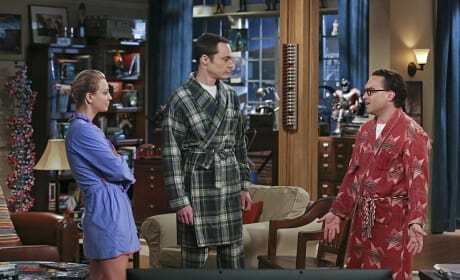 The guys take a break to talk things over while looking at a comic book or two on The Big Bang Theory Season 9 Episode 2. Leonard's idea to ease Penny's mind may or may not help, but will Howard and Raj have any insight? These two have remained our stable couple for seasons now. Might Bernadette and Howard have some advice to give their newlywed friends (or their recently broken-up ones)? Sheldon finds a red bra on The Big Bang Theory Season 1 Episode 2, and it isn't sure what to do with it. No, it doesn't seem like it's Penny's, either. On Sheldon's special edition of Fun with Flags, he insists that he doesn't need Amy's help for anything. What he needs to be doing instead is trying to win her back, but hopefully he'll come to that realization soon. Yes,, Penny and Leonard got married. But that was followed by a fight about their unresolved issues. 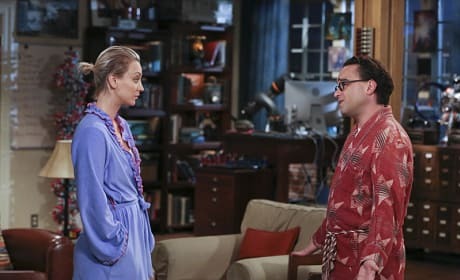 On The Big Bang Theory Season 9 Episode 2, Leonard has plans to ease Penny's mind, which may or may not do the trick. 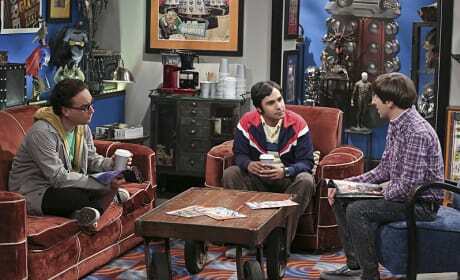 Sheldon seems to be telling Penny and Leonard some good news. Likely, that news is about the special episode of "Fun With Flags" that he's planning. 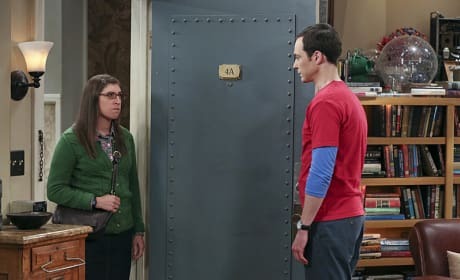 On The Big Bang Theory Season 9 Episode 1, Amy officially called things off with Sheldon. So what will happen next for these two? Both are hurt, and they still share the same circle of friends. 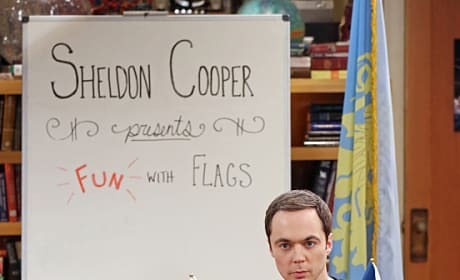 Sheldon plans a special episode of "Fun With Flags" after his breakup with Amy on The Big Bang Theory. "The Separation Oscillation" is the second episode of the show's ninth season.